If your look tired, angry and older than you actually are, an eyelift might help you change that. Eyelifts are among the most commonly requested surgical procedures in both men and women. Upper lid droopiness tends to make someone look both tired and a bit cross, while lower lid bagging tends to make a person look older. 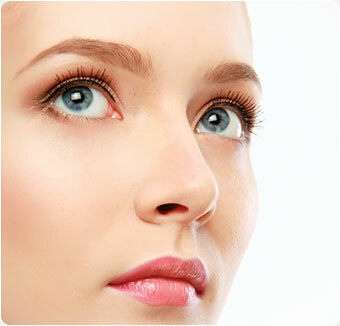 Eyelift can make you look younger, fresher, more interested and alert. Eyelid surgery can remove the excess fat, muscle and drooping skin of the upper eyelids and minimize bags under the eyes and lower eyelid skin. The upper lid incision falls into the natural crease above the eye. The incision of the lower lid is just under the eyelashes, although sometimes it can be made on the inside of the eyelid (Tranconjunctival approach). Eyelid surgery requires a very short recovery time, sometimes only a few days or a long weekend. Dr. Glusac often combines eyelid surgery with a facelift, as well as other facial rejuvenation procedures. Tips: Cool compress is recommended for the first 24 hours. Sutures will be removed 4 to 5 days after the surgery. You can start using make-up to conceal discoloration after one week.